New sounds coming out of Philadelphia! 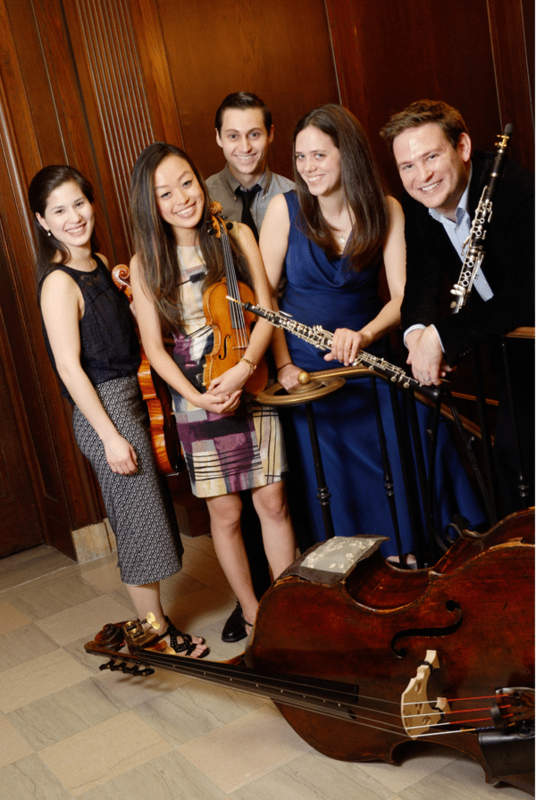 Inspired by Prokofiev’s Quintet, Opus 39, the dynamic and virtuosic string/wind group Ensemble39 has already established itself as one of the hottest ensembles in Philadelphia. 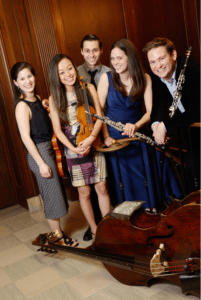 They will perform the world premiere of a work by Kinan Abou-afach, commissioned by LiveConnections as part of its “New Sound of Philadelphia” project. Inspired by the music of Abou-afach’s native Syria, the work will explore classical and traditional Arab music along with pre-recorded sounds for this distinct blend of instruments. LiveConnections curates and presents six concerts annually, showcasing collaborative music designed for adventurous music-lovers. Join us for dinner and some of the most engaging new music around! 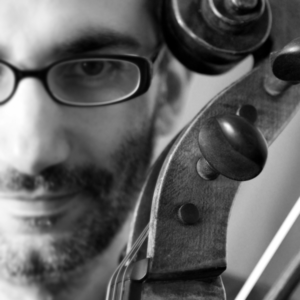 In May 2015, LiveConnections commissioned Kinan Abou-afach to compose music blending Arab and Western influences for Grammy-winner Jason Vieaux and the Al-Bustan Takht Ensemble. 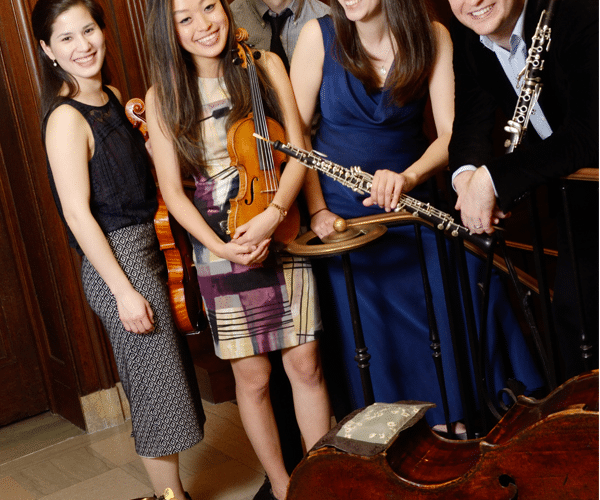 Check out Ensemble39 perform the world premiere of “A Philadelphia Minute” (2012).